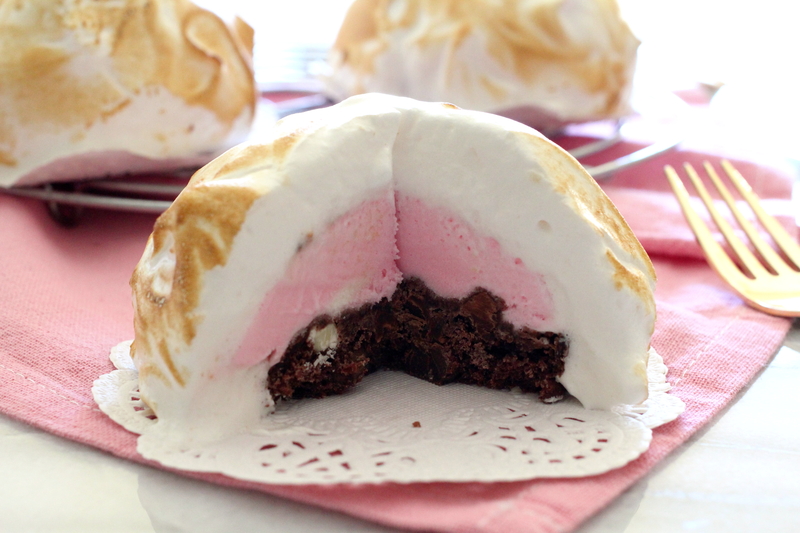 If you are into easy make ahead desserts then these Mini Baked Alaska treats are for you. With simply a little bit of time invested, you will reap huge results that will have your guests thinking you slaved in the kitchen. They are somewhat of a throwback dessert and a classic one at that when sponge cakes topped with ice-cream, enveloped with meringue and toasted till golden perfection were all the rage. Seeing that it was also my anniversary weekend, I kept a dozen aside to reinvent them into these pretty mini baked Alaska desserts which are also reminiscent of the baked Alaska cakes my husband and I had at our wedding. With the lights dimmed down low at just about midnight, a dozen waiters came out and encircled us on the dance floor. 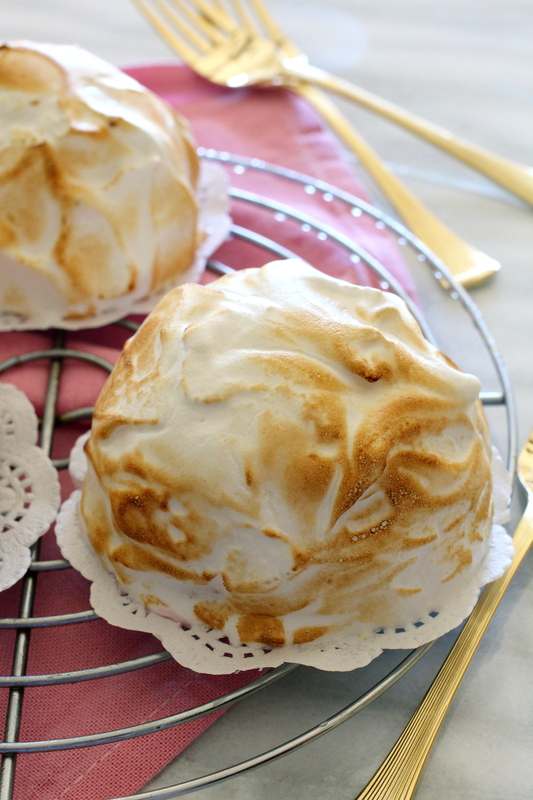 Each bearing one baked Alaska ignited with cake sparkles. Let me say that it garnered a lot of oohs and aahs and it was just a truly magical moment! 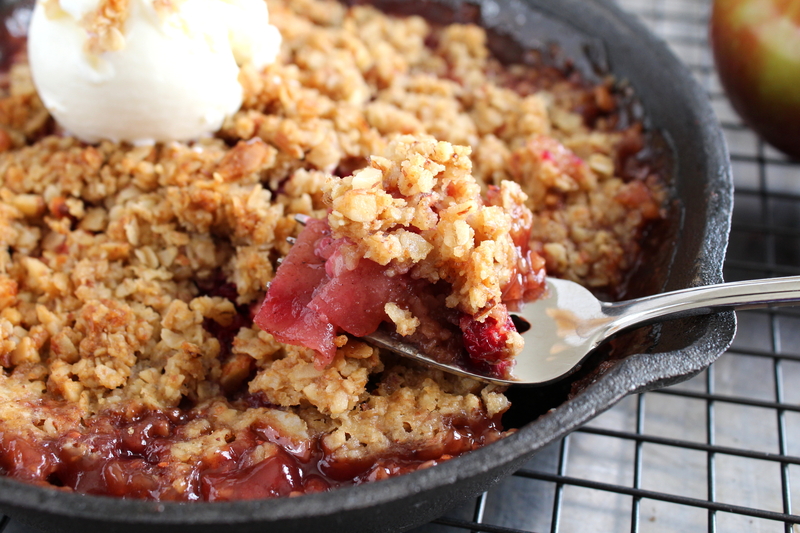 A wonderful thing about this recipe is that you don’t have to bake cookies from scratch. In a pinch, store bought cookies work just fine. You can customize the mini baked Alaska to your tastes with just about any flavored cookie and ice-cream of your choice. I chose a Neapolitan flavor with the trifecta of chocolate, vanilla and strawberry which is really quite fun as it gives an element of surprise when cutting into the stunning little individual dessert. Make the mini baked Alaskas this weekend and create your own memorable moment. Place the 12 cookies on a parchment lined cookie sheet. Place one scoop of ice-cream onto each cookie and transfer the tray to the freezer while you prepare the meringue. Using a stand mixer or hand held mixer, beat the egg whites with the lemon juice, cream of tartar and salt until soft peaks have formed. While beating constantly, add sugar one tablespoon at a time until stiff peaks have formed. Remove the tray with cookie topped ice-cream from the freezer. 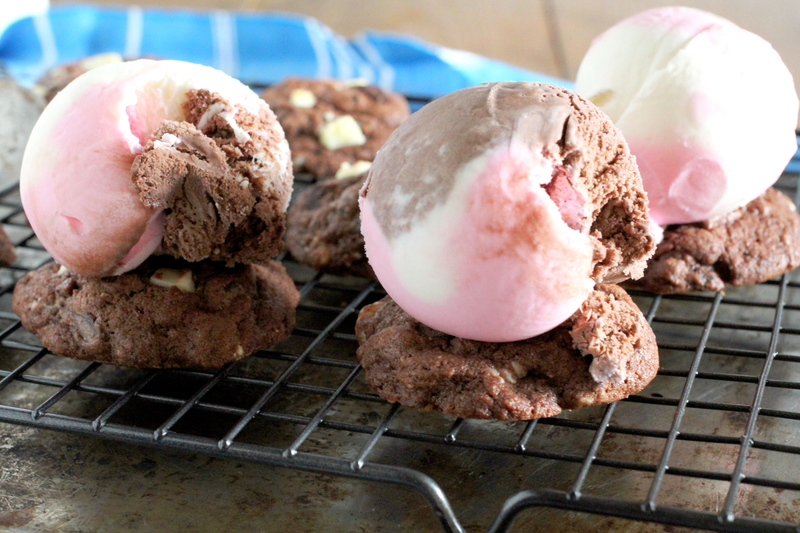 Using the back of a spoon, spread the meringue all over the cookies and ice-cream. Freeze the mini Alaskas for at least 8 hours, until they are solid. When ready, preheat the oven to 400 degrees F. Bake for 5 to 6 mins until the meringue turns golden in color. Serve immediately or return to freezer till ready to serve. 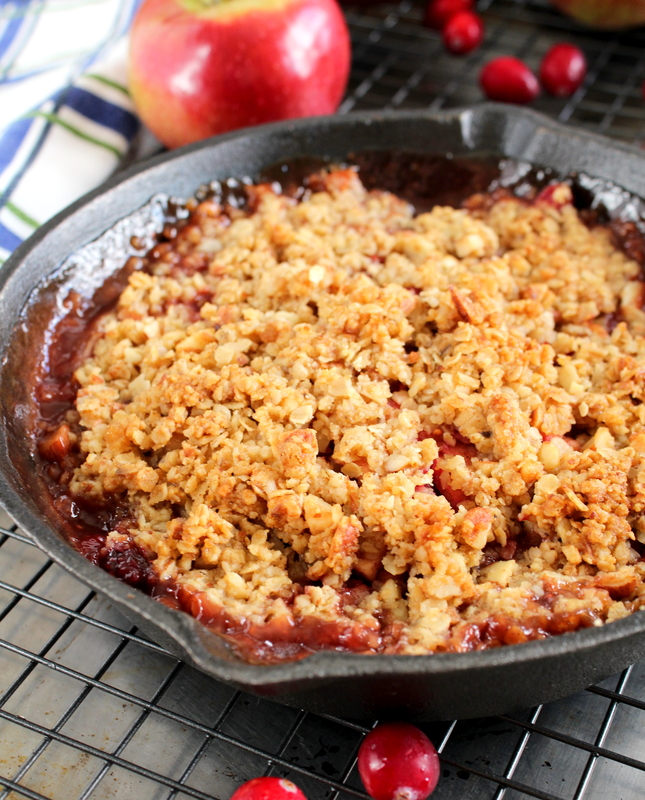 Adapted from Bake Fest recipe booklet. Oh my goodness, where has the month of July gone! Are you also feeling that summer is simply going by far too quickly? As much as I love to share recipes with you all, sometimes I have to take a step back in order to fulfill other commitments. This summer, there has been such a great demand for sweets! I have been elbow deep in sugar and flour catering platters of cookies for bridal showers and weddings! I now find myself in a mad dash to get ready to fly down south for some much needed rest and relaxation. I do hope there is internet connection down there so I can catch up on my Reader! I wasn’t quite sure that I’d be able to slip in another recipe this month, but am so glad I did because this gelato is so worth the splurge in purchasing these nutrient packed nuts. Gelato al pistacchio is undeniably my favorite ice-cream and when I think of pistachio, immediately a vibrant green color comes to mind. However, I soon came to realize that unless one uses artificial colors or dyes, a homemade all natural gelato al pistacchio will take on the color of the crushed nuts. A good gelato is made with top quality ingredients! 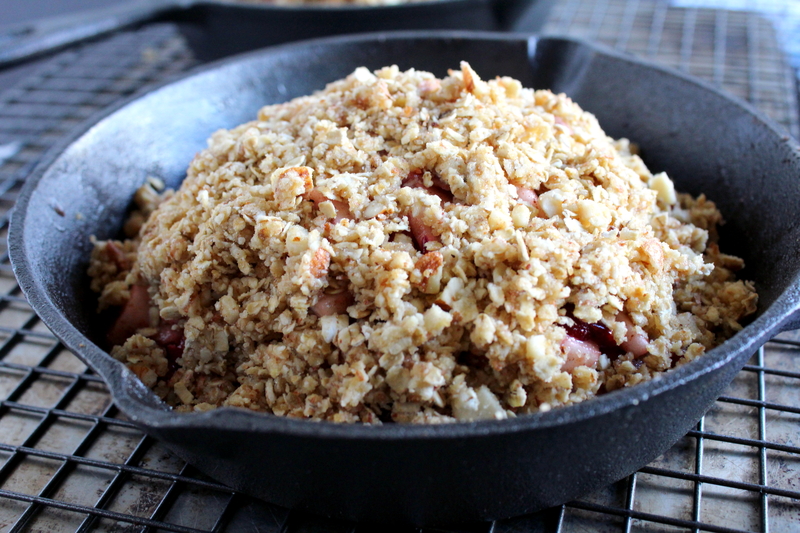 It is soft in texture, creamy and so incredibly delicious. And, did I mention extremely easy to make! In fact, the most arduous part was in shelling the pistachios. It did take me a couple of hours but only because I couldn’t resist munching on a few…well more than a few! But all is well because pistachios are one of the healthier nuts to snack on and contain less calories then other nuts. Less calories equals less guilt, right! 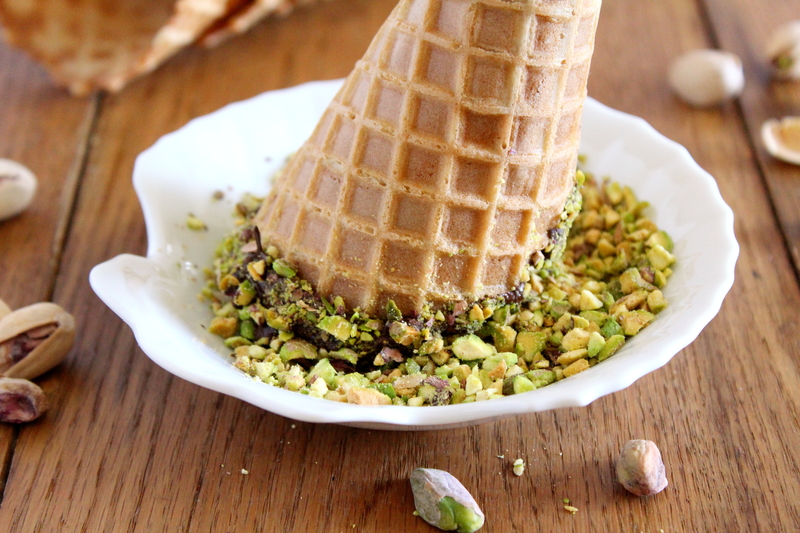 You will find this gelato al pistacchio quite delicious on it’s own or served in wafer cones or bowls which have been dipped in chocolate and then crushed pistachios. You can delegate this part to little kids, they will love it! However, fair warning it could get just a teeny bit messy! 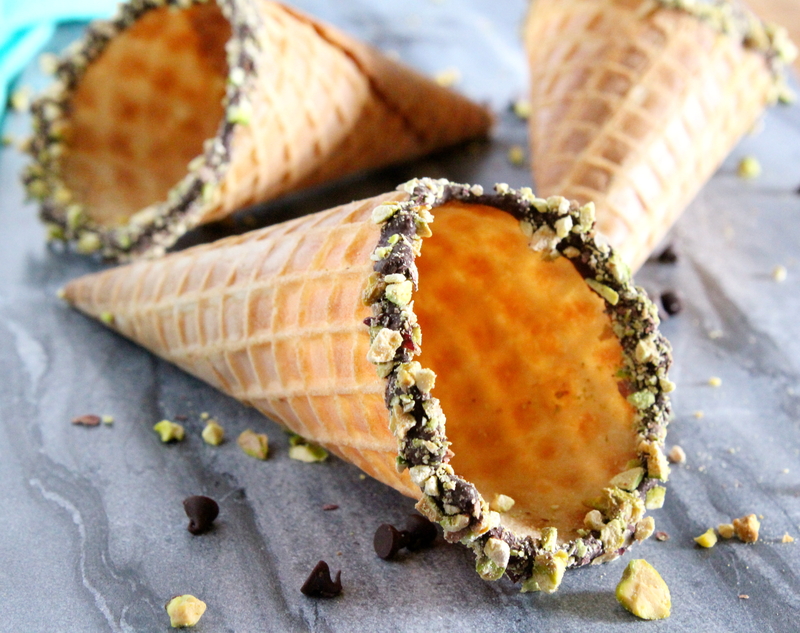 The quantity of melted chocolate and crushed pistachio for dipping will depend on how many cones you want to dip. I used a half cup of each for 6 cones. The recipe for this luscious pistachio ice cream was adapted from a new favorite cookbook of mine, “Flavors of Sicily” by Ursula Ferrigno. This beautiful cookbook is packed full of authentic Italian recipes and beautiful photography! While reading the introduction of this cookbook, the author, Ursula Ferrigno goes on to mention how the Sicilians have a notorious sweet tooth and also just happen to be, simply the BEST dessert makers in Italy. I have never been to Sicily, but I know that I’d simply love it there….next vacation perhaps! Have to get back to my packing but I’ll be seeing you with more recipes when I get back. 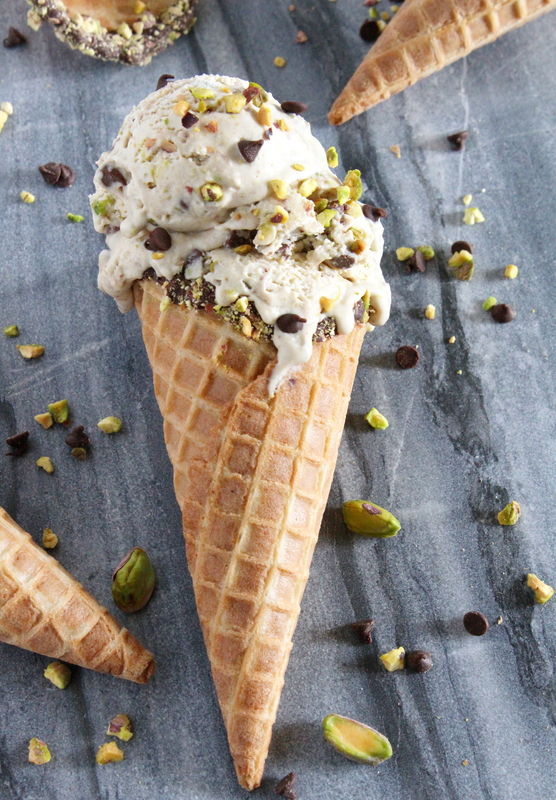 Gelato al pistacchio is simply pistachio ice cream. Soft in texture, creamy and so incredibly delicious. Made with all natural ingredients and no dyes. Spread the pistachios in a single layer, onto a cookie sheet and roast in the oven for about 8 minutes. Let cool. Once cooled, place the pistachios in a food processor and grind until fine but still with some larger pieces for extra texture. Add the vanilla and the salt to the chopped pistachios and stir well. Set aside. In a large sauce pot, heat together the milk and the heavy cream until very hot but not boiling. Meanwhile, using a stand mixer or hand held mixer with the whisk attachment, whisk the sugar and eggs together until they are thick and creamy for about 8 to 10 minutes. 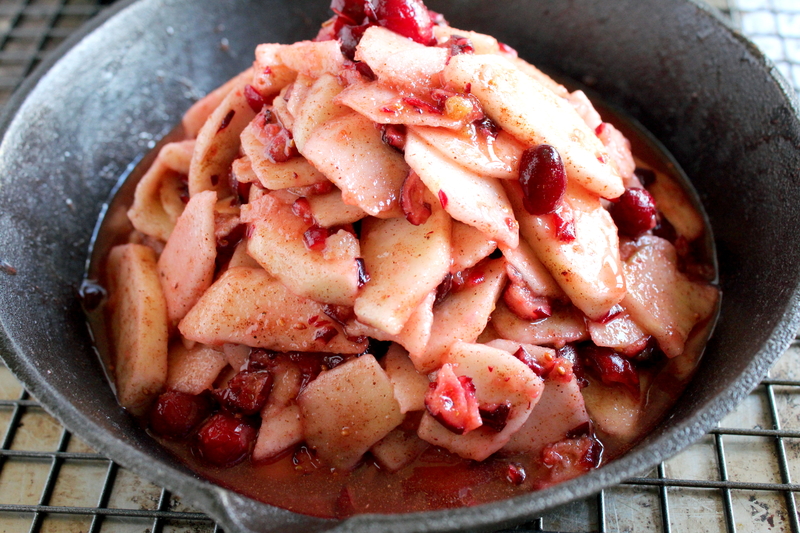 Cool the mixture then chill overnight in the fridge. When ready, freeze and churn in an ice-cream machine according to the manufacturer's instructions. Add in the chocolate chips during the last 5 minutes of churning time. Enjoy scooped over a waffle bowl or cone. Recipe is adapted from the cookbook, Flavors of Sicily by Ursula Ferrigno. The only thing different from the original recipe is the addition of chocolate chips in the last 5 minutes of churning time. It is such a delicious combination! 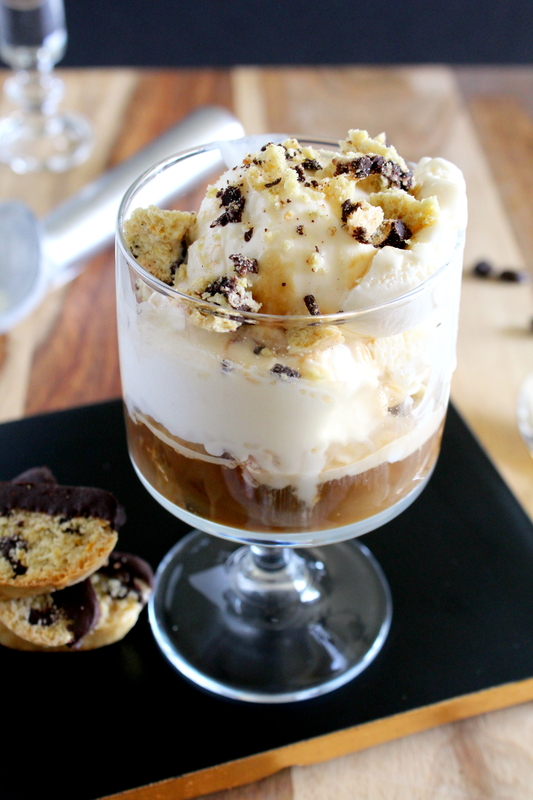 Affogato, in Italian literally translates to “drowned.” It is a classic Italian dessert! One where hot meets cold and creates a luscious, dreamy concoction that is just perfect for those searingly hot and sticky days, such as the ones Montreal has been experiencing this past week. The freshly brewed deep and rich aromas of my parents stove top coffee, always had me up and out of bed early when I was younger. Once seated at the table my mamma would serve me a bowl of my favorite cereals with milk and a little splash of her morning coffee. It certainly had me feeling all grown up. I suppose this is how my love of coffee began and still continues to this day. A traditional affogato is served with one scoop of ice-cream and a shot of espresso. My version here is somewhat more indulgent. I initially wanted to make this a two ingredient recipe, however, I could not resist adding some of my freshly baked chocolate anise biscotti. To compliment the anise flavor of the biscotti, I added a shot of Sambuca. This makes for one very delicious and heavenly affogato! To achieve the very best results, do use a good quality coffee and not the instant variety. It just will not do in this recipe! Also it bears mentioning to chill your serving glasses before scooping in the ice-cream and pouring in the coffee. 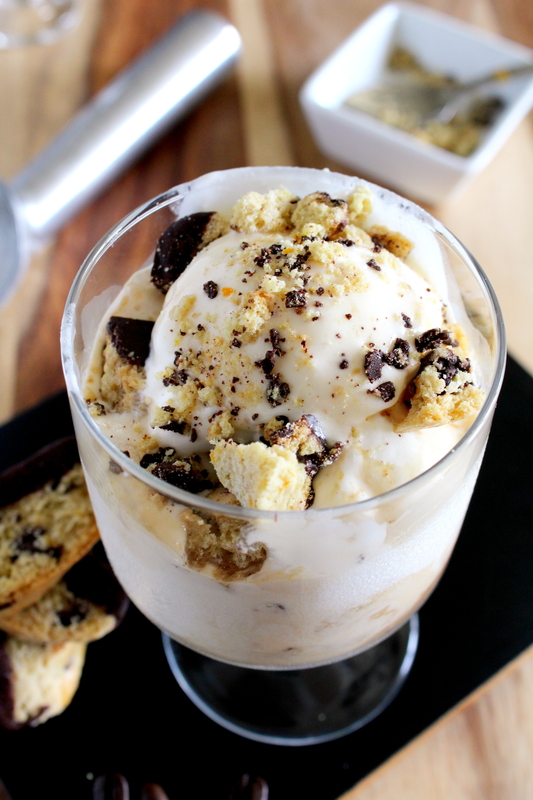 Better yet, prepare ahead of time by placing 1 scoop of ice-cream in a freezer proof serving glass, sprinkle with crushed biscotti and top with another scoop of ice cream and place in your freezer. 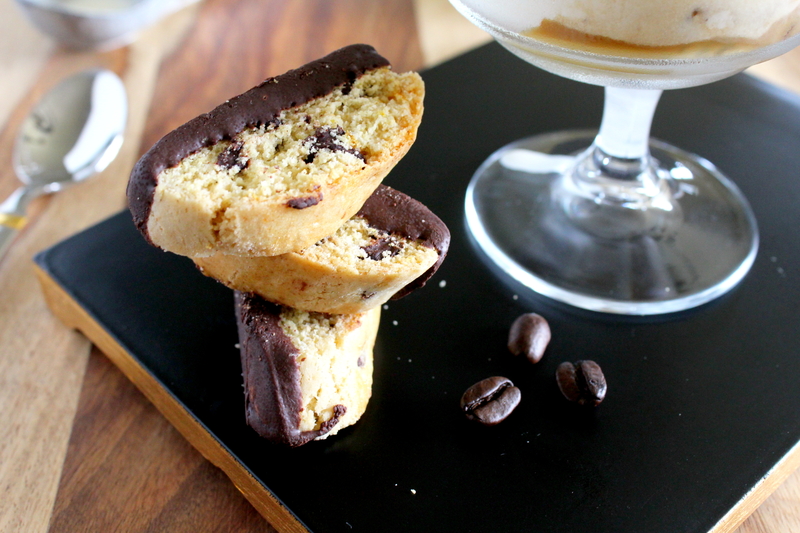 When ready to serve remove from freezer, pour warm coffee and the Sambuca over the ice-cream and sprinkle with more crushed biscotti. What is your favorite coffee drink? I would love to hear from you!! I have had quite a few recipes lined up for this month but it has been super busy these past few weeks as I have been catering platters of cookies for various occasions. 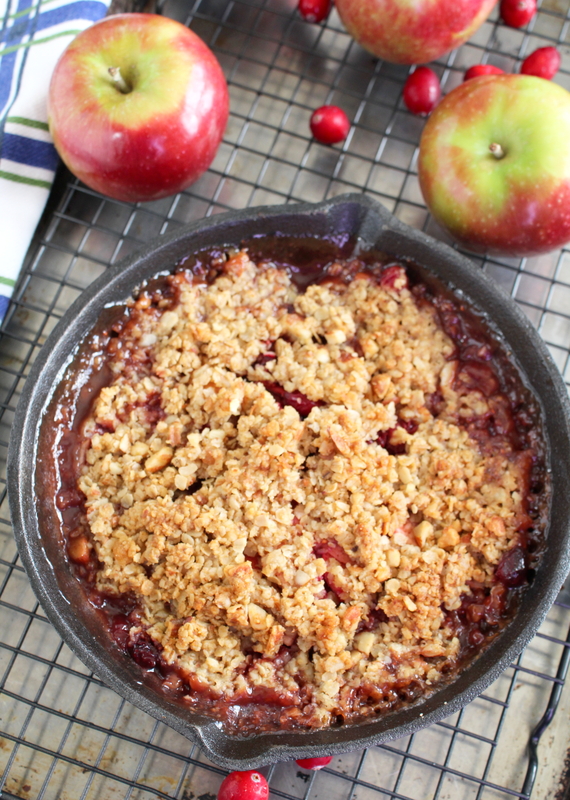 As much as I enjoy baking for family and friends, I do miss my baby blog! Coming soon is my Chocolate Anise Biscotti recipe so do come back!! Affogato, a classic Italian coffee and ice-cream dessert, with a shot of Sambuca and sprinkled with crushed chocolate anise biscotti. Place 1 generous scoop of vanilla ice-cream in each well chilled dessert glass or cup. Sprinkle each scoop with some crushed biscotti. Top with a 2nd scoop of ice-cream. Pour 2 ounces of hot espresso into each glass.